If It's Hip, It's Here (Archives): The MetroShip. 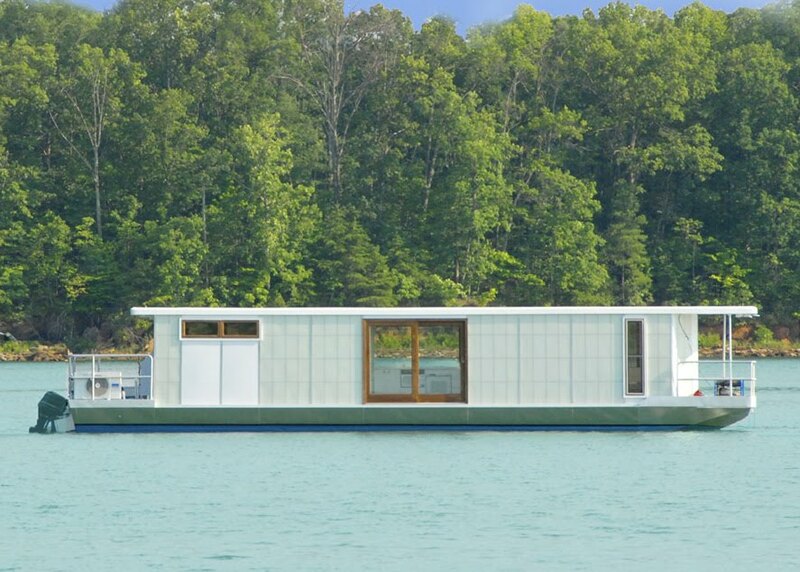 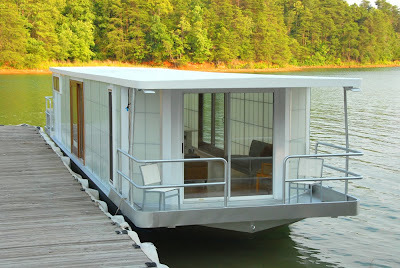 A Modern Luxury Houseboat For $250k. 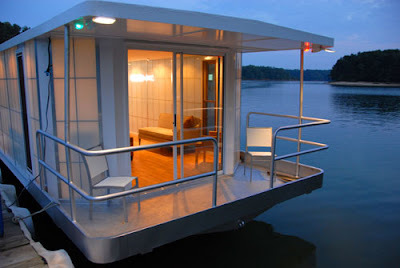 The MetroShip. A Modern Luxury Houseboat For $250k. The MetroShip by Ballinger & Co. is a modern houseboat, conceived of in London and hand-made in the USA, which also happens to be offered in this years' annual Neiman Marcus Christmas Book as one of their legendary "Fantasy Gifts" for $250,000. 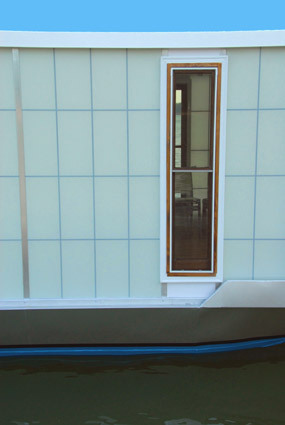 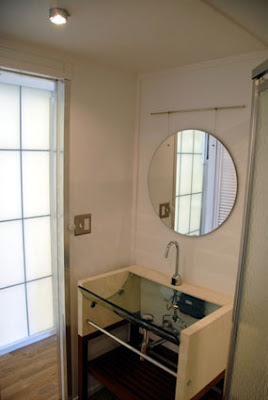 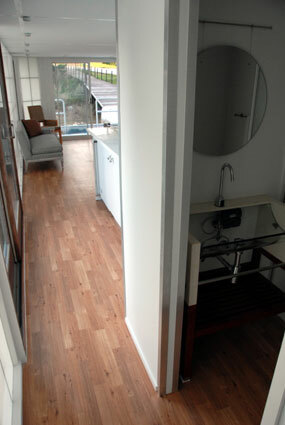 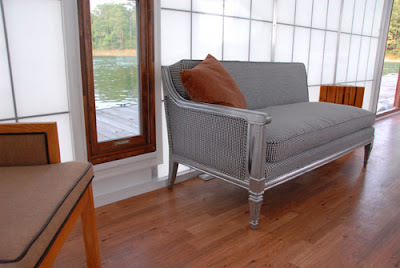 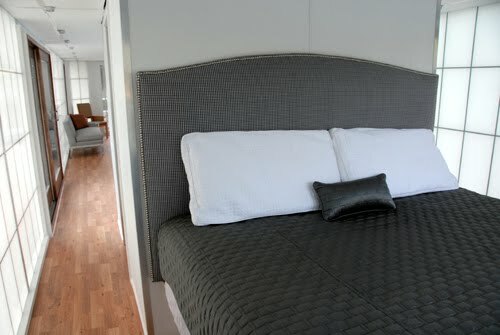 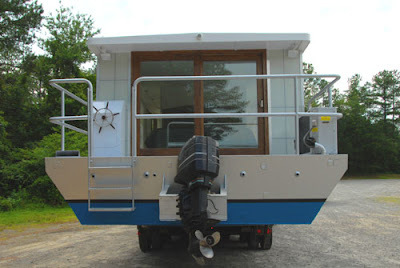 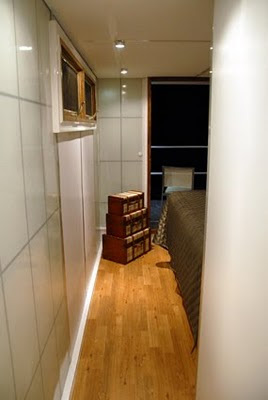 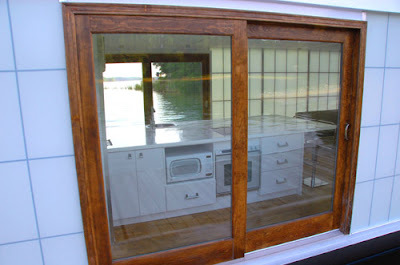 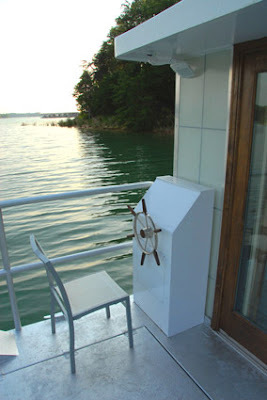 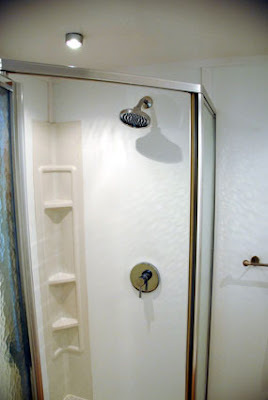 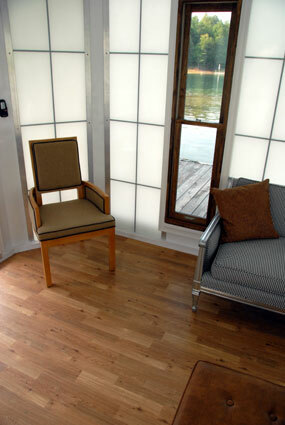 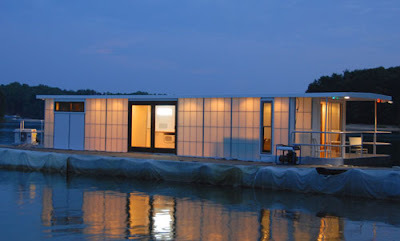 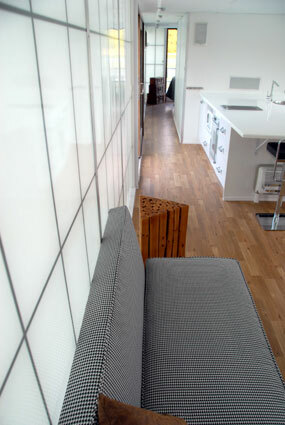 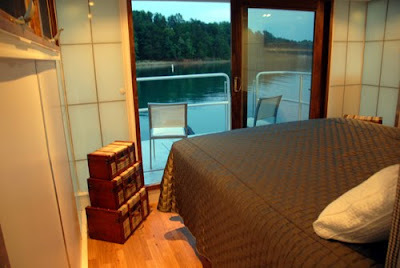 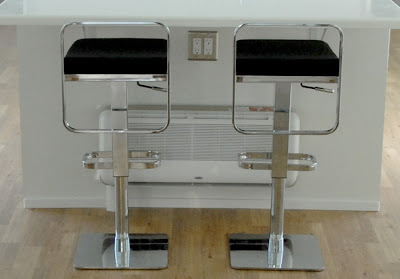 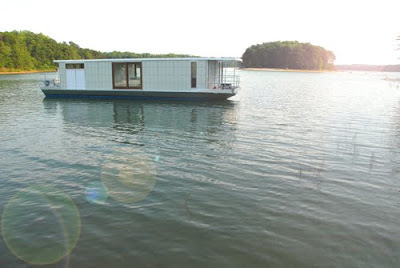 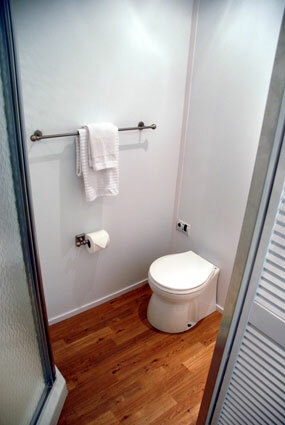 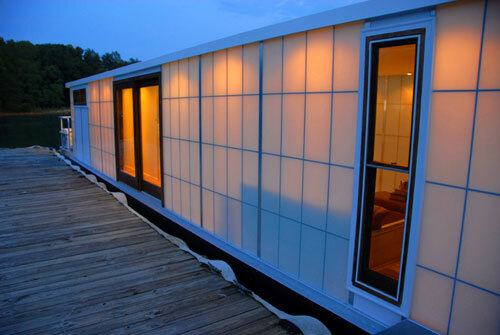 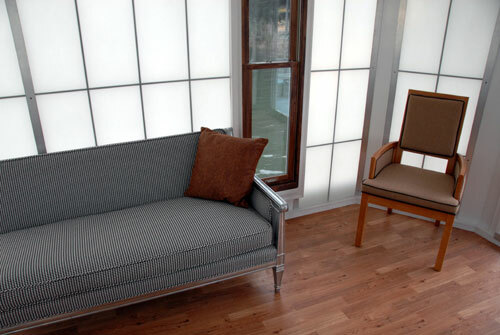 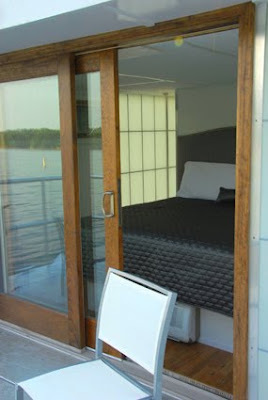 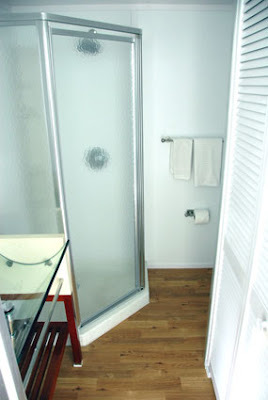 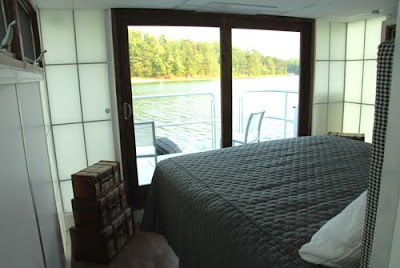 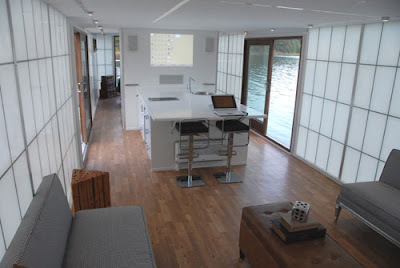 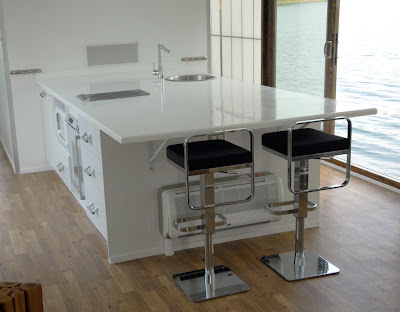 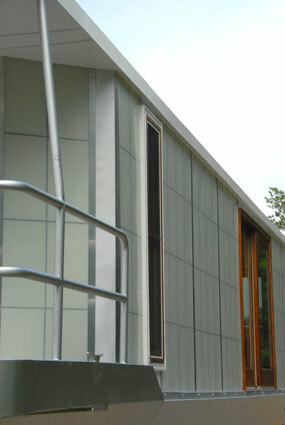 The 48ft x 12ft modern houseboat was inspired by the open plan of NY loft spaces and has 7 foot high interior ceilings. 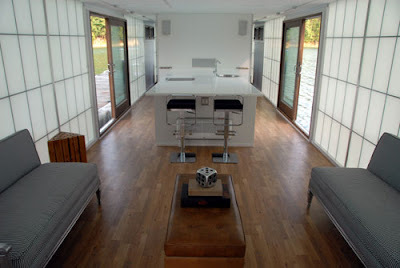 After 7 years of design & development, the floating modern retreat is completely outfitted with the finest appliances and furnishings including a Viking and Gaggenau kitchen, Italian marble bathroom vanity with Kohler shower, a Bang & Olufsen stereo sound system, Sony LCD HD tvs , Nintendo Wii, an LG washing machine and the W Hotel bed. 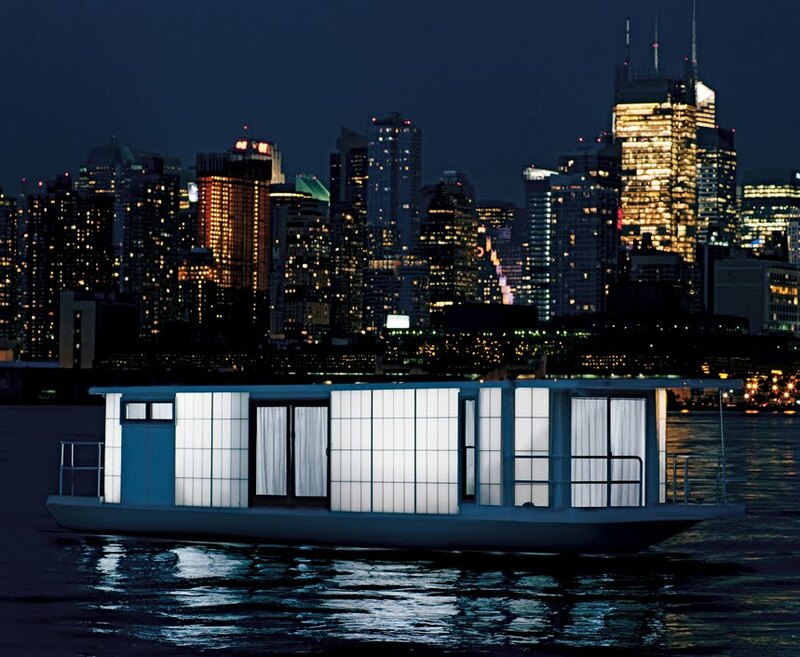 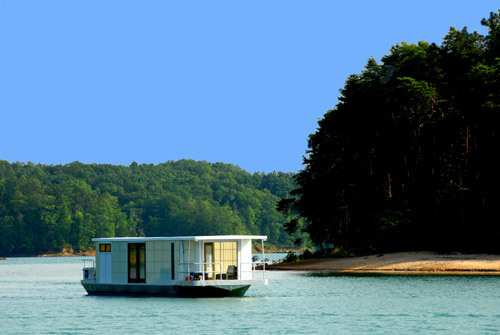 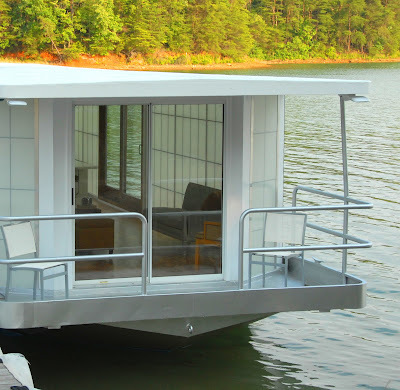 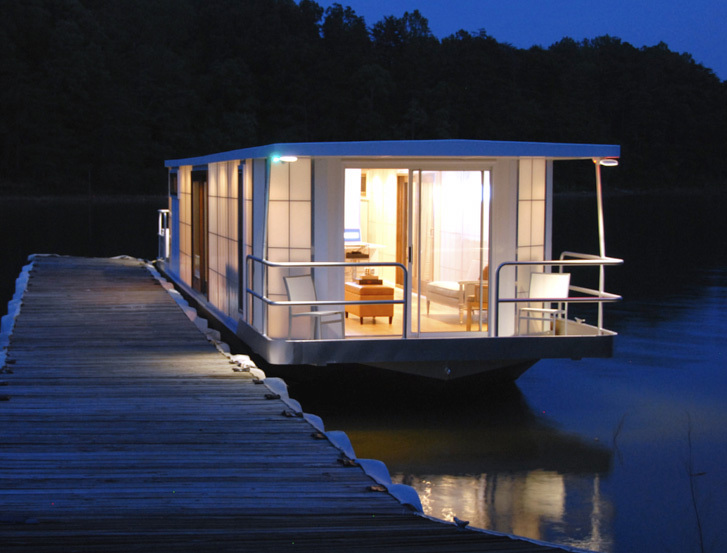 On the 50th anniversary of our His & Hers gifts, we present the ultimate romantic retreat: the MetroShip houseboat. 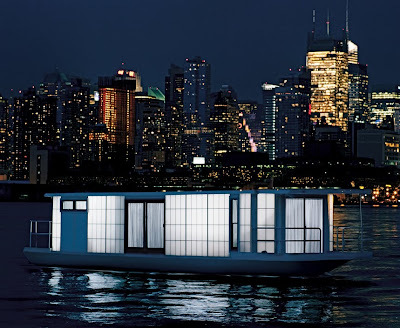 With a 48-foot by 12-foot open floor plan and 7-foot-high interior ceiling, it has been designed and built as an intimate luxury loft that just happens to float. Richly appointed, it offers the best in comfort, technology, aesthetics–and portability. Open and airy during the day with waterproof hardwood floors and double-glazed windows, at night it truly glows with sophistication thanks to maintenance-free translucent thermal aluminum walls. 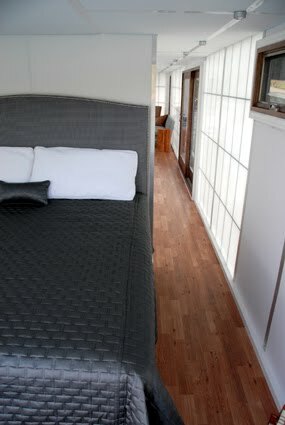 Inside, it's all about the two of you. 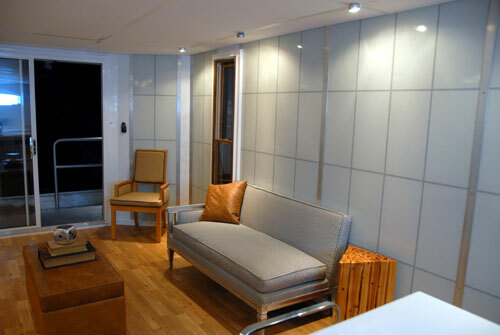 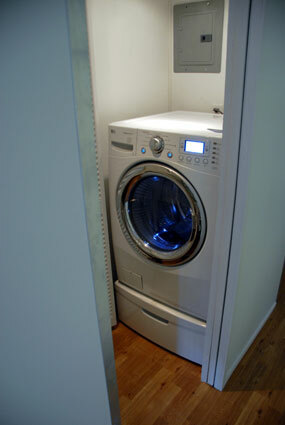 Set the remote-control central air conditioning and heating, and put on some music. 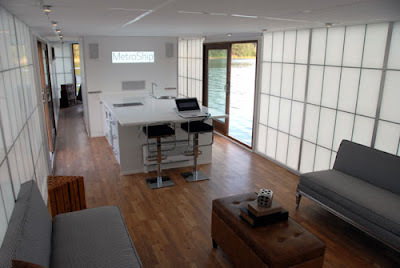 The living area includes a next-generation media center with Bang & Olufsen stereo, high-definition projector, Nintendo® WiiTM gaming console, and Sony® LCD flat-screen monitor for movies, computer, gaming, and Internet projection. 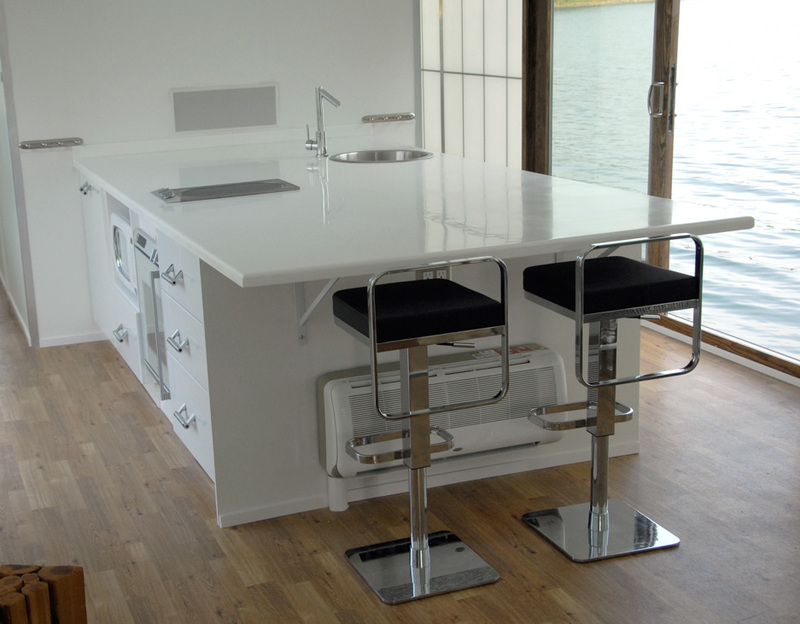 Grab a bottle of wine from the gourmet kitchen island. It features handmade cabinets, a Viking® refrigerator/freezer and dishwasher, and GaggenauTM in-cabinet oven and cooktop. 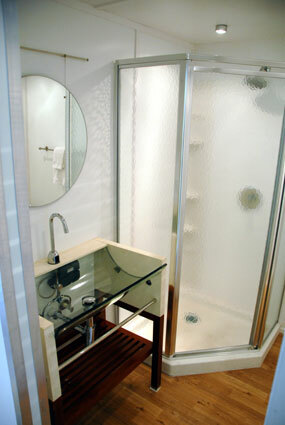 Slip into something more comfortable in the spa bathroom with an Italian curved-glass vanity, touch-free faucet, and Kohler® frameless full-size shower. The high-capacity tankless water heater and LG steam washer/dryer come in handy–as does the roomy master suite with a luxury W Hotel bed. Not that you'll be in any hurry to get anywhere, but there are twin 60-horsepower Honda outboard engines. 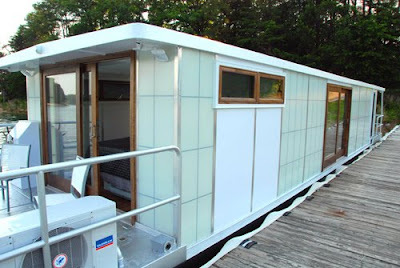 And when it's time to transport or dock, the lightweight aluminum hull and 12-foot width make it easy.